Gungahlin Town Centre is the commercial centre of Gungahlin and offers a variety of facilities serving the existing Gungahlin population of nearly 50,000 residents, as well as the wider Canberra community. The Centre is only 17km from Canberra's CBD and 12km from Belconnen. 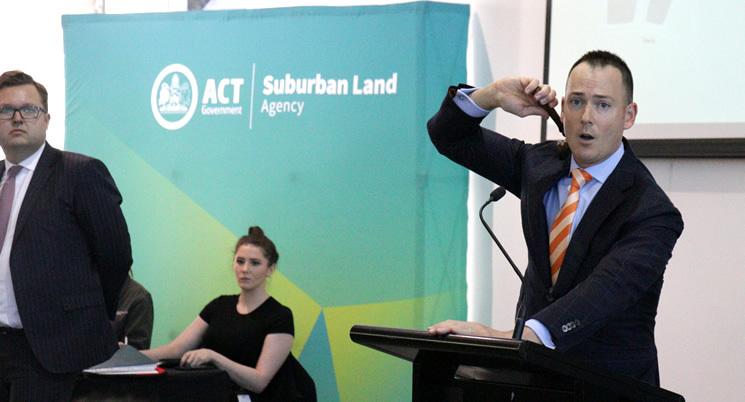 Gungahlin Town Centre is home to some of Canberra's major infrastructure projects including an office block which is home to around 600 ACT Government employees, and the City to Gungahlin Stage 1 Light Rail investment project. This 12km route is now under construction and once complete, will transport commuters from the City to Gungahlin in 24 minutes. Gungahlin Town Centre offers a great shopping experience in its Retail Precinct, including Gungahlin Marketplace and Gungahlin Village, hardware and bulky goods stores and a sports club and hotel. Other community services include Gungahlin College a public library, childcare centres, medical centres and open space areas to enjoy including the Valley Ponds, the Gungahlin Enclosed Oval and the Gungahlin Leisure Centre. Many independent, specialty and chain stores have set up shop in Gungahlin Town Centre either in one of the four main shopping retail centres, or on one of the retail-lined streets reminiscent of traditional open-air main street style shopping. Everything you need is located centrally, making it a popular shopping destination for Canberrans. Gungahlin Town Centre features a number of restaurants and cafés, a modern bar and sports club. There’s something for everyone from a relaxed meal by the fire, to music and cocktails, to sports clubs – and there’s more exciting venues opening all the time. There are several residential developments in the heart of Gungahlin Town Centre and its surrounding suburbs. Contact your local real estate agent to find out about current opportunities.